Many dynasty league waiver wires will unlock after the Super Bowl. It's time to start thinking about the free agents you want to stash and hopefully cash. Predicting the future is rather hard in real life and fantasy football is no different. Fortunately in fantasy football we have a bench spot. By looking at team needs and a players ability we can spot the possible opportunities ahead. 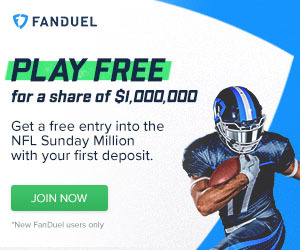 In this article you'll find my top stashes at RB, WR, TE and QB. Chris Warren (OAK): Warren was white hot this pre-season with 292 rushing yards. Unfortunately he ended up needing knee surgery thereby landing himself on IR. Martin and Lynch are not going away but Warren will get an opportunity at some point in the near future. Zach Zenner (DET): Despite finishing the season averaging 4.8 yards per carry you won't see him listed in many dynasty ranking. He out produced Blount and Riddick after Johnson went down and will likely find himself in the #2 role in 2019. 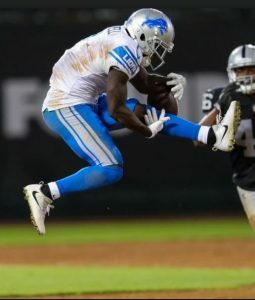 If Johnson's knee doesn't act right Zenner will feel like a really smart pickup. Boston Scott (PHI): I was all over Scott when the Saints drafted him in the 6th. Now he finds himself in Philly. The backfield is deep in Philly but I think he finds himself with snaps in 2019. A passing down / gadget players makes his upside limited outside of PPR leagues. Raheem Mostert (SF): Why stash Mostert and save him from the waiver wire? Because he works for Kyle Shanahan. How many years have you heard that Kyle's rushing attack is pure fantasy gold. Players are known to produce when pounding the rock for Kyle and Mostert was breaking out before his season ending injury. If he's on your waiver wire you need to pick him up before someone else does. D'Onta Foreman (HOU): His rise to fame in 2017 was short lived, but I'll never forget. Due to injury he only played once in 2018 in week 16. He scored on a 20 yard catch but did nothing else otherwise. Look, Miller isn't the answer in Houston. Foreman may or may not be the answer. He's worth a stash as we wait and see what develops in Houston's promising offense. 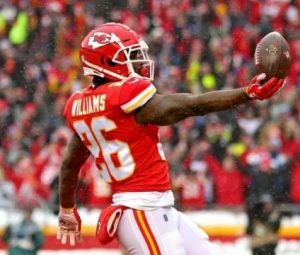 Damien Williams (KC): I doubt he is available on your waiver wire but figured I'd mention him in this stash piece. With Hunt gone I think Williams is the future. Worse case scenario you're looking at a very productive committee in 2019. Take a peak at Darrel Williams too, deep benches could benefit from this pickup, especially if KC doesn't retain Damien and/or Ware. Phillip Lindsay (DEN): Another guy probably not available but worth a mention. He is a no-doubt waiver wire pickup if he's available in your league. Got a nod to the pro-bowl in his undrafted rookie season, nuff said. Derrius Guice (WAS): He was a 2nd round pick out of LSU in 2018. Then he trashed his knee in the pre-season. Since then he has had multiple knee issues and his 2019 season has been rumored to be in question. While he probably isn't on your waiver wire I'd keep my eyes out. Perhaps all the FUD surrounding his name will cause owns to drop or try and trade him, I'd be a buyer. Taquon Mizzell (CHI): This 5 star recruit could find himself with meaningful touches in 2019, but that won't happen without some backfield changes in Chicago. Ronald Jones (TB): What an absolute bust, that's what everyone is saying now-a-days about Jones. But he landed in a horrible spot, I mean just look at Tampa and the duck-duck-goose coaching staff they keep trying to put together. I doubt he gets cut but that would probably be the best thing for him so he can find a new team. Nevertheless, if Tampa can get their crap together I like Jones to have a chance considering his pedigree. Running Backs that didn't make my list of worthiness are: Jerrick McKinnon, Kelen Ballage, Ito Smith and Alfred Blue. These guys are being recommend all over the place but I just don't see it happening for them in 2019. Not in a meaningful enough way that I'm winning my dynasty league by stashing these guys. Robert Foster (BUF): This deep threat out of Alabama may or may not be in Buffalo next season. But this doesn't concern me as he has more than shown his worth with an insane 23.6 yard average depth of target. He can ball, guys, and will only improve from here. D'haquille Williams (BUF): Gotta love those wide receivers in Buffalo. D'haquille "Duke" Williams finished his 2018 CFL season with 1,579 yards and will make noise in the NFL if he can stay out of trouble. Keith Kirkwood and Cameron Meredith (NO): Ted Ginn is 33 years old and is probably done as a starter in 2019. Look for Meredith to get his chance and if he flops Kirkwood will shine. Demarcus Robinson (KC): With Conley a free agent in 2019 I like Robinson's chance to win the WR3 job in KC. Chad Williams (AZ): As Josh Rosen progresses so will his WR core. Look for AZ to make wholesale changes this off-season as they carry the 6th most cap space headed into 2019. I can only envision them moving UP from here. Jordan Lasley (BAL): If you looking for wide receivers I doubt you want to target the Ravens. But with John Brown possibly vacating the #2 role and Lamar Jackson improving (we think), Lasley has a decent shot for meaningful snaps in 2019. Jake Kumerow (GB): He isn't young (27) but only has 1 NFL season under his belt. Cobb is a FA in 2019 and could become a cap-space casualty. I'll take just about any bet on a Aaron Rodgers wide receiver. Cam Sims (WAS): Another pre-season stud lost to injury could find himself in the running come training camp. Brandon Powell (DET): He was one of the reasons Detroit let Tate leave. He popped off against Green Bay in week 17 with 6 catches for 103 yards, nuff said. Justin Watson (TB): This is a freak athlete and could make some serious noise if he gets a shot. Tampa could have issues retaining DeSean Jackson which would free up some room for Watson. Jacob Hollister (NE): Gronk is talking about retirement (again) and Hollister is a pass catching tight end. Major dart throw, we shall see. Dan Arnold (NO): Standing at 6'5, 222 pounds he could stand to put on some muscle. But if you saw the snaps/routes/catches he made this season you know he more than likely has a bright future in New Orleans. Regardless of who's tossing the pigskin, a Sean Peyton lead offense is all I need to know when stashing this future top 10 TE. Ian Thomas (CAR): Probably not on your waiver wire but if he is then he tops this TE list of free agent stash and cashes. Will Dissly (SEA): If you have the bench space and TE is sucked dry you should take a stab and stash Will. He's coming off a torn patella so who knows if he can even come back from such a terrible injury. But if he can rehab his way back I think we have a real keeper on our hands. Very productive for a rookie TE before going down, worth a shot. Robert Tonyan (GB): In 2018 he posted 3 catches for 77 yards and a touchdown, oh and Aaron Rodgers is his QB. Jimmy Graham is a lock for the #1 spot but Tonyan could spell him when/if Graham is hurt in 2019. Troy Fumagalli (DEN): This 9 finger wonder is known as an exceptional pass catching TE but struggles with blocking. The blocking issue, if not corrected, would limit his snap count for sure. Troy was a second team All American as a senior and could make some noise as soon as 2019/2020. Mark Andrews (BAL): This converted WR did well in his first NFL season. He did well enough to land right on my radar as a stash and should continue to improve as his QB grows. Kyle Lauletta (NY): With Eli's future in question, Kyle Lauletta could get a chance to showcase his stuff in New York sooner than later. Joshua Dobbs (PIT): If you own Roethlisberger I'd take a stab here. Other than that I'm leaving him alone until the Big Ben retirement rumors surface. 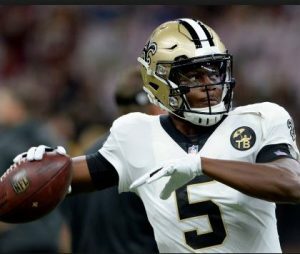 Teddy Bridgewater (NO): Drew Brees may "never" retire, but if he does retire after the Saints win the Super Bowl (smile) then Bridgewater is going to be given every chance to lead the Saints in 2019.